Budget friendly Korean Beef Bowls on your table in less than 30 minutes, bursting with flavor and one of the absolute easiest meals you will ever make! 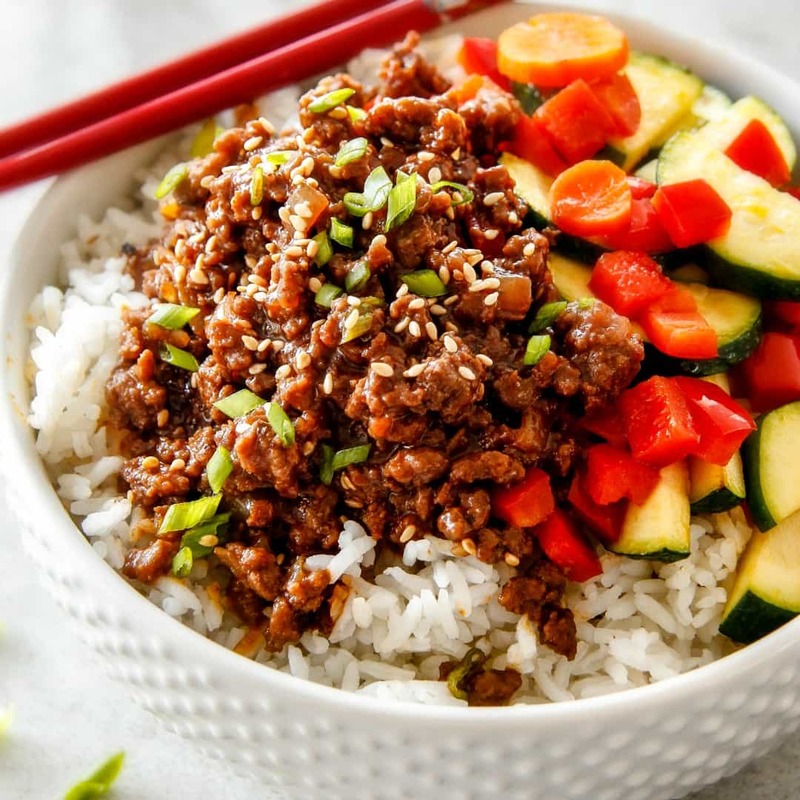 I love a quick and easy dinner, but all too often, they taste like “quick and easy” dinners but not these Korean Beef Bowls! 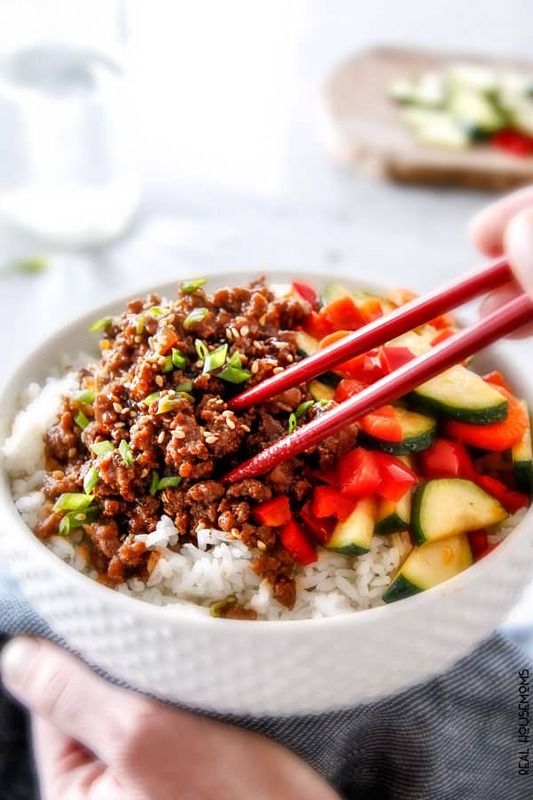 These Korean Beef Bowls are bursting with flavor from the soy sauce, Chinese rice wine, sesame oil, ginger, garlic and and the secret ingredient that makes these Korean Bowls not only “Korean” but lick the bowl delicious – Gochujang! Gochujang is absolutely essential in these Korean Beef Bowls. It’s a Korean condiment that can be found in the Asian section of your grocery store. Now if you are wondering if there is possibly room in your refrigerator next to your Sriracha, Chili Garlic Sauce, Chili Paste and Sweet Chili Sauce, let me answer you friend, YES, yes, there is. Gochujang is the sweet heat behind Korean dishes and its distinctly wonderful flavor can only be found in Korean cuisine. Gochujang is savory, sweet and spicy all at the same time, leaning more towards the sweet. It is made from red chilies, glutinous rice (doesn’t actually contain gluten but means it’s very sticky) and soybeans. It’s both complex in flavor and milder in heat (compared to other chili pastes), making it perfect to elevate any meat, chicken or veggies. 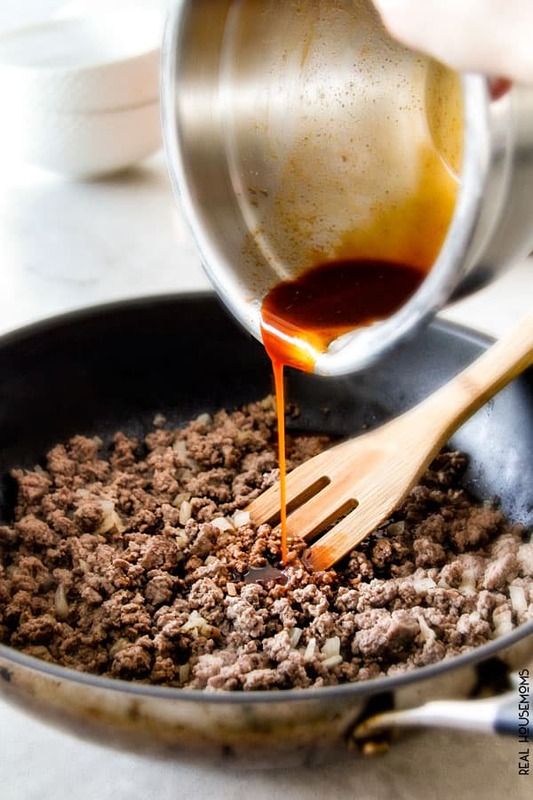 So while you might buy Gochujang specifically for these bowls, I can guarantee you are going to be reaching for this flavor bursting condiment to dress up practically everything. So yes, please find a special place in your refrigerator for Gochujang. And then you will find a special place in your heart and a can’t-stop-craving-these-Korean-Beef-Bowls spot in your belly. Add one teaspoon olive oil and heat over medium-high heat. Add zucchini and red bell peppers (or other desired vegetables) and stir fry 2-3 minutes or to your desired crisp-tenderness. 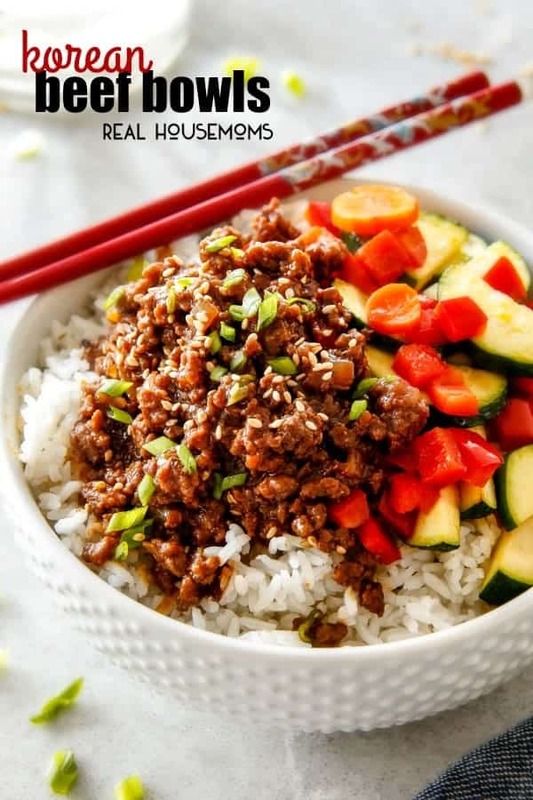 Layer 4 bowls with rice and top with Korean beef and vegetables. This looks great! My family loves Gochujang! Love this recipe! One question, for the Korean Sauce, what “pepper” are you referring to? Black pepper or Pepper Flakes? Thank you! Hi Ivette! it’s black pepper for the sauce. We’ve updated the recipe card to reflect this. Sorry for the confusion, thank you for bringing this to our attention.